The JMSP-9240 is a hydraulic 40 TON AIR / Hydraulic Shop Press. The JMSP-9240 is used for removing and installing bearings, gears, U-joints, bushings, ball joints, pulleys, and more. 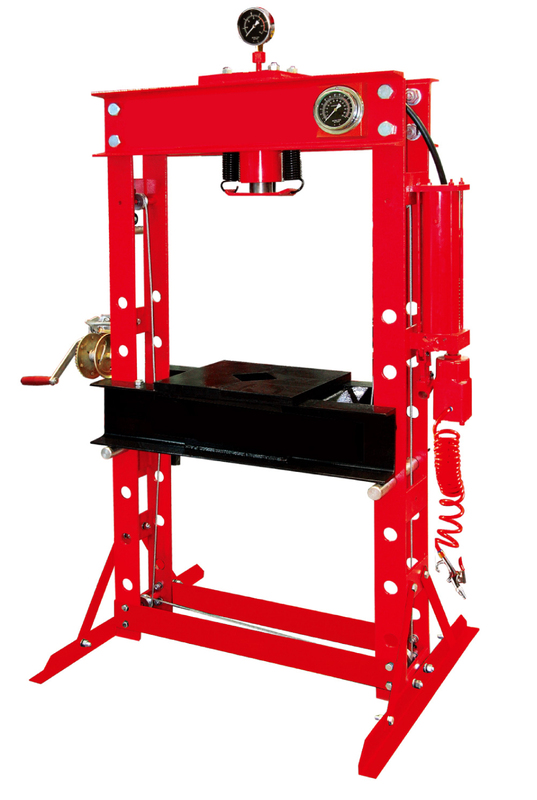 This Hydraulic Shop Press automatically exerts up to 40 TONS of pressure using an included AIR / Hydraulic Piston. Heavy duty steel construction for maximum durability. The JMSP-9240 Shop Press's weight is just under 621 LBS. If you have any questions or would like more information on this equipment, PLEASE CALL US AT 1-888-736-5094!